A Kickstarter campaign has launched for a new children’s coding kit, which lets children build their own robots then animate them through coding sequences. A new toy concept has been designed that looks to teach children how to code through building physical robots that move, light up and make noises. 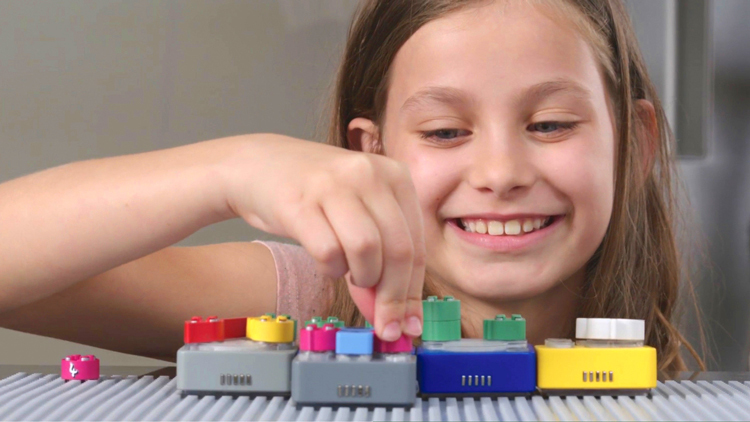 Start-up company Algobrix has launched on Kickstarter, and aims to teach kids aged five to 13 how to write code through building Lego models. The Algobrix kit includes instructions, Lego building blocks, and coding blocks. 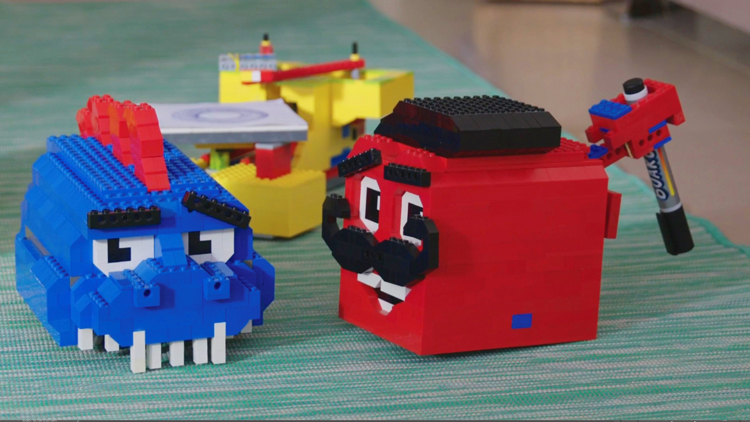 Children build robots either using design templates provided or “from their imagination”, says Asor, then put together coding blocks in various sequences to make the robots perform different functions. The kit also includes activity cards, which suggest different animated sequences for the robots. The coding blocks replicate aspects of computer coding, including parameters, loops and functions. There are kits with different levels of difficulty, and Algobrix plans to create more complex kits in the future which will include added features such as LED lights and audio players. Algobrix has achieved its Kickstarter fundraising target of $53,000 (£40,600), and will be available to buy in stores worldwide from April 2018 onwards, according to the founders. Kits are priced $125-$1,700 (£96-£1,300), but are available at a 40% discount for those who donate to the Kickstarter. 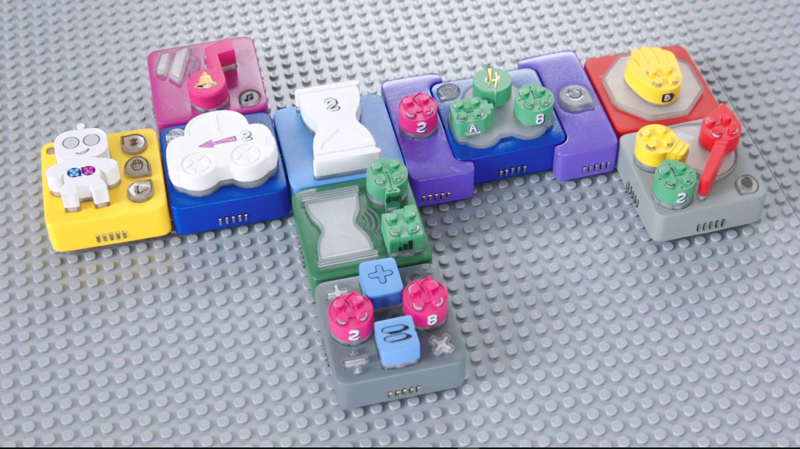 The system's symbol-labeled blocks enable kids to learn programming before they learn to read. Legos have been a beloved for decades as toys that teach constructive aesthetics and foster DIY creativity. Then the company started releasing Mindstorm kits to turn static models into moving robots with a little programming magic -- but these were always aimed at older kids with some tinkering prowess. Algobrix, a brick-based system going live on Kickstarter today, aims to teach block-loving children the elements of coding without having to touch a computer. Algobrix is a core set of function blocks labeled with symbols, not letters, so your early learners can figure them out before they've built up their vocabulary. Line them up the blocks railroad-style, hit "go" and your brick-built "Algobot" follows the instructions to move around, play audio or light up. There's also light, movement and sound sensor blocks to add environmental triggers. But the system's great advantage is its compatibility with Lego blocks -- and the latest version of Mindstorms -- so kids can rig up all their existing sets and models. Algobrix is also a bit more affordable than Lego's robotics kits, starting at $150 for the basic set's early bird Kickstarter prices with an eventual sticker price of $300. All the reward levels include a slew of sample bricks, but Algobrix is primed to bring life to every piece of the Lego universe. There is definitely not a shortage of robotic toys coming out of the woodworks lately that want to teach your kids how to code. But why is this so important? As it turns out, learning how to code not only prepares your child for future careers in robotics or computer programming but it also teaches logical thinking. The latest of these STEM toys is called Algobrix and it’s currently being funded on Kickstarter with much success so far in its fundraising campaign. One of the great things that sets this one apart from the rest is it can be expanded with LEGO blocks/pieces/kits to build even more from your child’s imagination. Algobrix not only teaches children ages 5-13 the basics of coding, but does so in such a way that it just feels like they’re playing and having fun building. 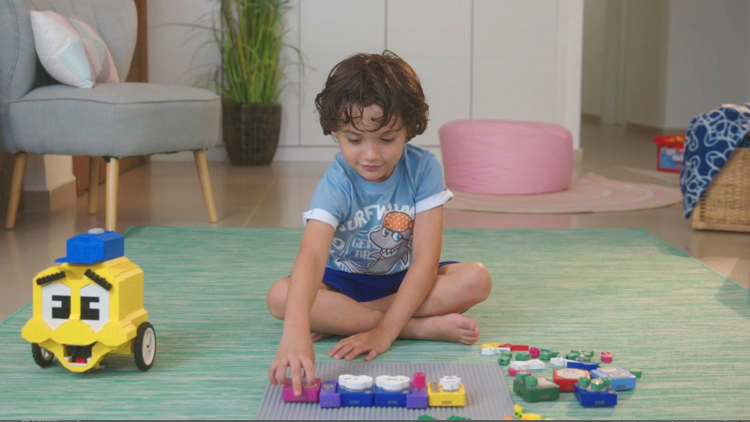 Still true to its coding background, your child just needs to arrange the blocks to control the robot’s movements. Each “Algobot” your child puts together can be programmed to move around, light up and make sounds among other things. The sensors on the bots can then react to light, noise, touch and even proximity. Your kids even have the option of building any of the Algobots to turn motors on or play music. The Algobrix kit comes with instructions, LEGO building pieces, and the coding blocks. Children can build robots either using the design templates provided or build completely original robots. With LEGO compatible blocks, your child is limited only by their imagination. 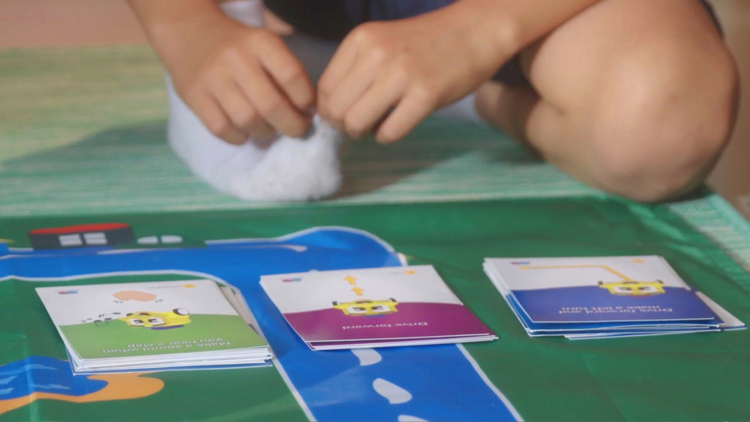 Each kit includes activity cards, which allow the robots to follow different animated patterns or sequences. The coding blocks resemble aspects of computer coding, including parameters, loops and functions. If all goes as planned Agobrix will hit retail shelves in April of next year with all sorts of new kits with different levels of difficulty. The company also plans to create more complex kits in the future which will include even more features like LED lights and audio players.